The temperatures are reaching up into the 90s in my neck of the woods which means it’s time to switch to iced coffee to get my mornings started right. Which also means it’s time to break out the Cuppow. I make many of my decisions with an eye toward sustainability and conservation and this little drink helper is no different. Now, you can ignore the fact that it looks like a sippy cup of you want to. I embrace it. 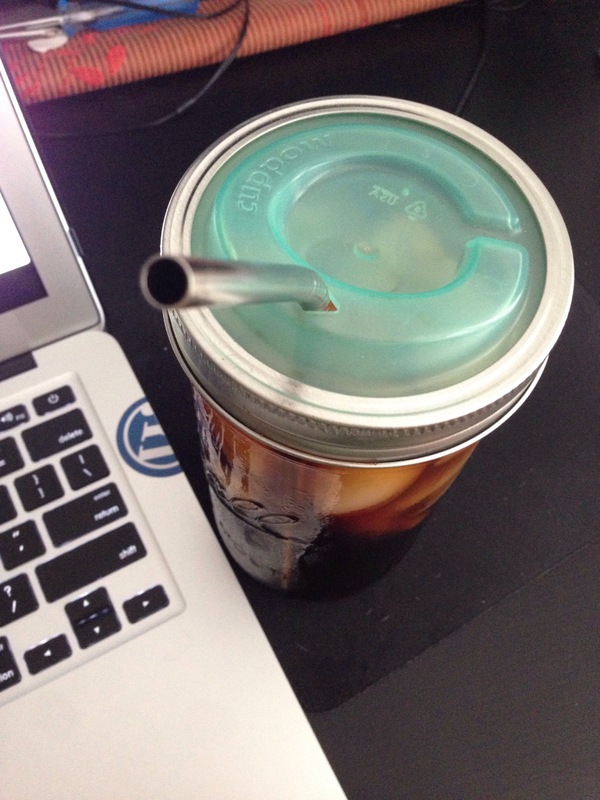 This is my sippy cup of iced coffee. The Cuppow is actually just that teal plastic insert on top. The rest is a wide-mouth, tall Ball jar and accompanying ring. 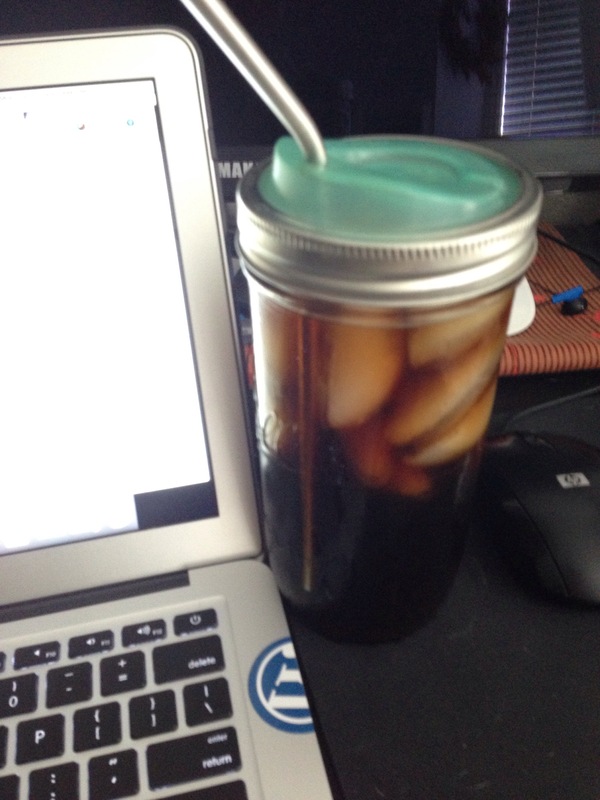 I purchased metal straws to go in this one for iced drinks, but I also have a clear one that is just a standard sippy Cuppow variety. So every morning this summer, I will be having a cold-brewed, caffeinated beverage out of this quirky and charming cup setup (which has admittedly made appearances on some WordCamp videos).